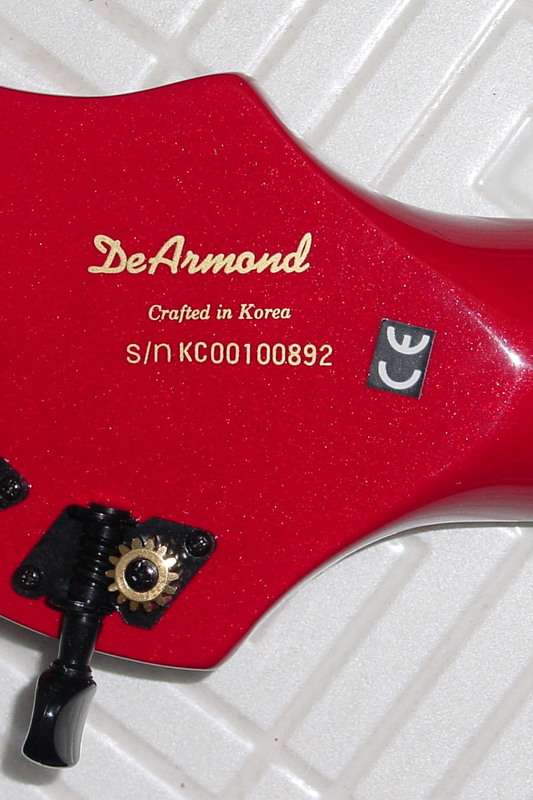 The Ashbory headstock back, which tells the serial number and country of origin, has changed over the years. 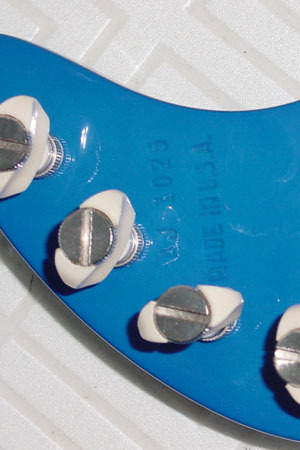 The headstock has no printing, but is imprinted with the serial number on one line followed by "MADE IN U.S.A." on the second line. 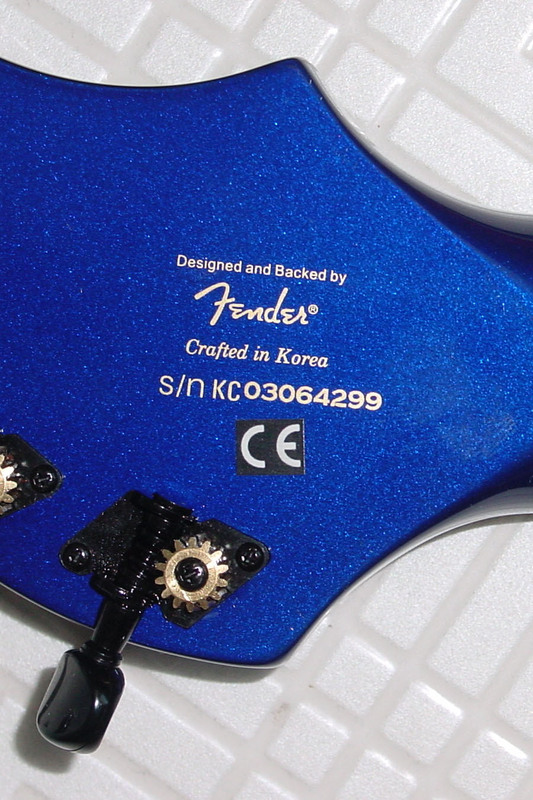 The pictured is an Ashbory received new in 2003, though this style with the Guild logo and serial number is believed to be from 2000. This bass was received in 2003, and at least two Ashborys from 2002 also have this style of headstock back. 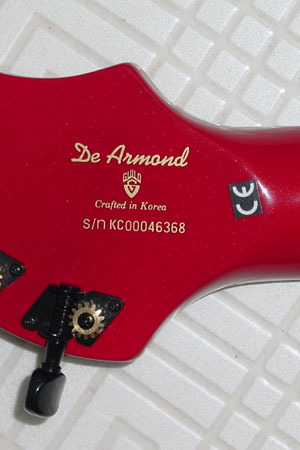 This is a non-DeArmond branded Ashbory. It also has the corresponding non-DeArmond body logo.